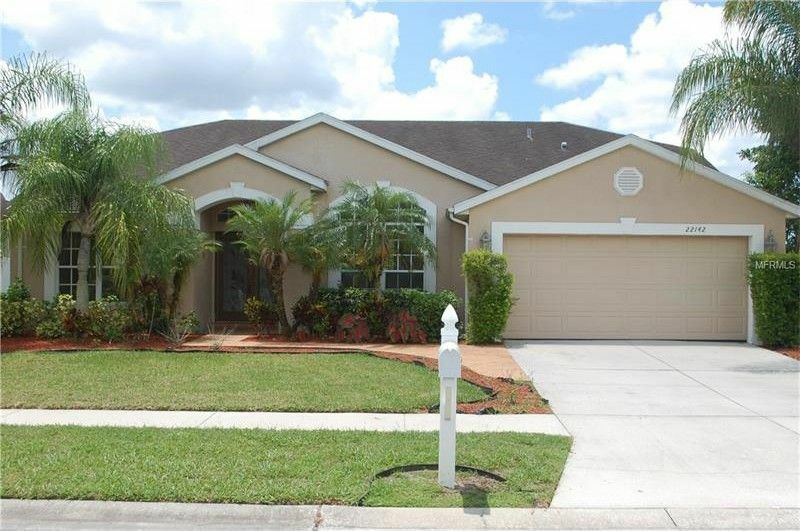 Lovely 4 Bedroom 2 bathroom home located within a gated community. This home sits on 1/4 acre and has plenty of space for work and play! The home features a large combination formal living room/dining room, and also has a separate family room. The kitchen is large, with space for eating. The spilt bedroom floor-plan affords privacy. The master bedroom and bath en suite has dual vanity sinks, a relaxing garden tub, and separate walk-in shower. The other bedrooms are nice-sized with windows that let in natural light. The entire home is newly painted, and new carpet. This is a Fannie Mae HomePath property. All room sizes are approximate. First time homebuyers inquire about HomePath's buyers education course and earn up to 3% closing cost assistance. Restrictions apply. Ask the listing agent for details.